with internals that can handle springs up to M190 (650fps). accuracy out of the box. needs NO further tuning or modifications. Completo di accessori come in foto. Inner barrel: 475 x 6,01mm. just like the stock from the real M24. durable and there’s no flex at all. SSG24 to the length of your arms. there’s as little play as possible. 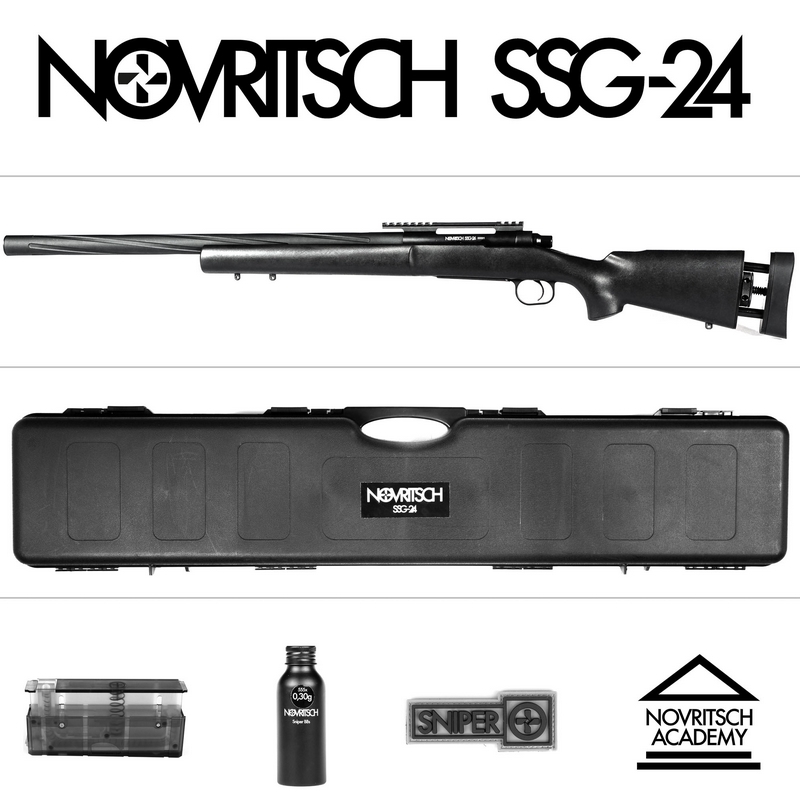 has it’s individual Novritsch SSG24 serial number. bend or break any of those parts. between stock and outer barrel. from the outside. No tools needed. rubber for equal pressure on the bb. It can easily overhop bbs up to 0,46g. It sits tight inside the hopup chamber which provides a 100% seal. at quality control before it finds Its place in the SSG24. The SSG24 magazine can hold 28 bbs. bbs are left in the magazine. ensure that the mag changes are smooth. hop up chamber with the follower spring.